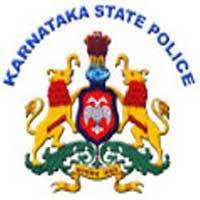 · Organization Name : Karnataka State Police (KSP). · Total No. of Vacancies : 277. · Name of the Posts : Police Sub-Inspector (Civil & Intelligence). · Apply Mode : Online. · Official Website : http://psi17.ksp-online.in. · PSI (Civil) – 184 Posts. · PSI (Intelligence) – 43 Posts. Candidates appearing for the above mentioned post should have passed PUC, 12th standard in their first attempt. The recruitment board will accept candidates from ICSE, SSC or equivalent boards. Good academic record is desirable. Candidates have to pay Rs.250/- for GM , 2A,2B, 3A,3B & Rs.100/- for SC , ST, CAT-01, through in state bank of Mysore (sbm)/ state bank of Hyderabad (sbh) only. Candidates have to fill the application and generate the challan and make the payment in the respective bank. Applicants of KSP Sub Inspector (Civil & Intelligence) Recruitment 2017 are shortlisted based on the recruitment rounds conducted by the department. Check the below selection rounds of Karnataka Police Vacancy 2017. · Physical Measurement Test (PMT). · Physical Endurance Test (PET). · All applicants are requested to First open the official website. · Download and read the advertisement for complete details. · If you are eligible then follow the below. · Click on Apply Online and enter your details. · Pay the Application Fee as per your category. · Now submit the form online. · Before Submit online form please check all your details. · Now take a print out of your online application for future reference.